The wait is over. For the first time, wheelchair users can have BraunAbility quality built into a vehicle that’s not a minivan. 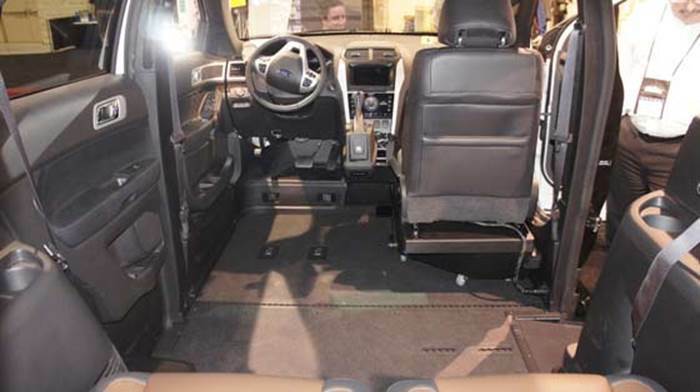 This wheelchair accessible SUV personifies action and independence, and with an open floor plan, it’s a perfect fit for a large percentage of wheelchair users. 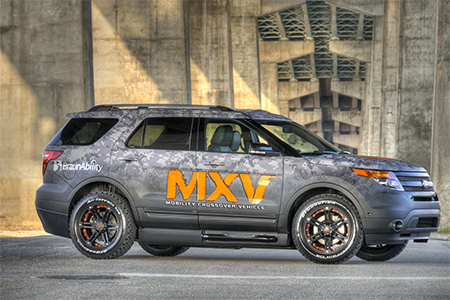 The BraunAbility Ford Explorer MXV™ is available now! Contact your Mobility Consultant at Drive-Master in NJ to set up a demo! Maximum Towing Capacity (estimated) – 5000 lbs. The interior of the MXV allows for both front seats to be removed, and the middle seating is removed for wheelchair access. The 3rd row seats remain and allow for 4 passengers in the vehicle.